Bridget will call you back! Reduced rates for 2 hour driving lessons. Being professional and courteous at all times, being friendly and helpful, being punctual and giving value for money, making sure all pupils get their full times on their driving lessons. Excellent driving skills for life! My patience and relaxed instruction helps build confidence in beginner drivers and gives them excellent driving skills for life. 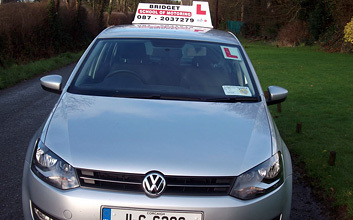 Bridget School of Motoring based in Mallow, Co Cork, is an independent driving school run by Bridget McAuliffe. Bridget McAuliffe is a qualified RSA instructor and has completed all ADI exams. At Bridget School of Motoring, we pride ourselves on our professional and individualized service we deliver to all our customers. We cater for all levels of students from beginners to pre-test and advanced. We emphasize safety and confidence building to clients as well as covering test routes and preparing them for their tests. We offer an excellent pass rate for all driving lessons. 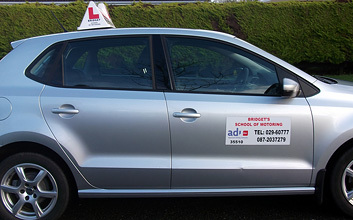 We offer driving lessons in Mallow. Please call us for our special offers. Latest driving articles and news! Door to door collection on request.